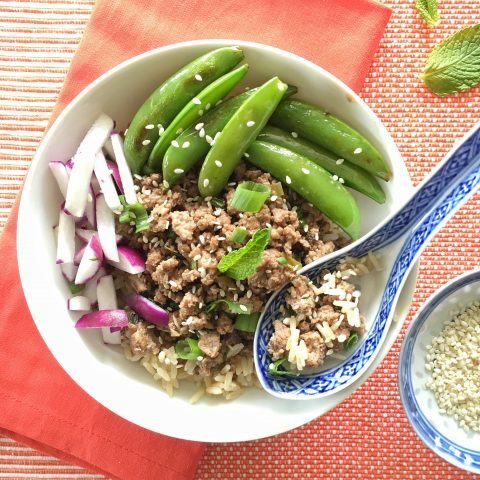 This Asian Beef Bowl is made with lean ground beef and a flavor-filled sauce of reduced-sodium soy sauce, toasted sesame oil, ginger, a bit of brown sugar, and fresh mint and cilantro. 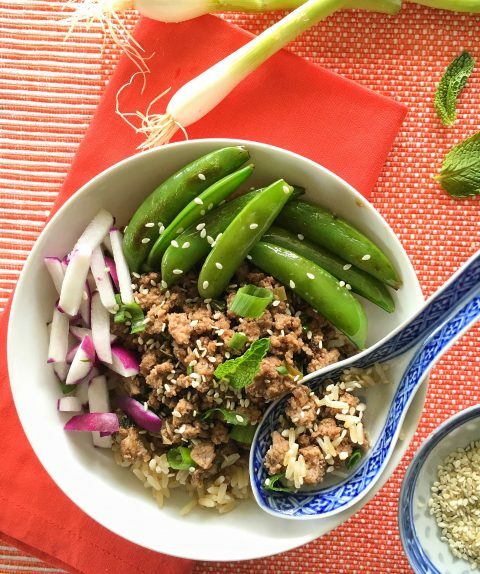 Serve over brown rice, and top with sesame seeds, sugar snap peas, and sliced radishes for a fast, easy and nutrient-rich family dinner. When my boys came home from school in late May, the first thing they asked me after lots of hugs and multiple loads of laundry was, “what’s for dinner?” It still blows my mind that my boys are now 21 and 17. Lucky for me, they’ve always been good eaters, and over the years, their appetites have grown to the point where even after dinner, they ask, “what’s for dinner?” I’m not kidding. This is what really happens in my house every night! I’ve been playing around with this recipe for Asian Beef Bowls since my boys descended on my kitchen last month, and I finally nailed it today. 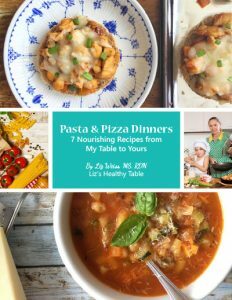 This easy bowl meal satisfies my boys’ hearty appetites, and it provides stellar nutrition. 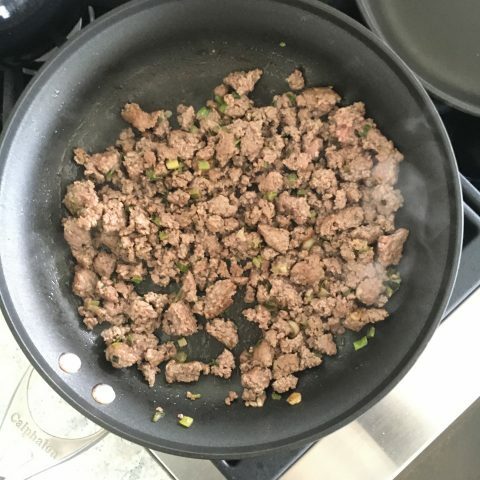 I use a pound of lean ground beef, so everyone gets a healthy, 4-ounce portion (uncooked) and reaps the health benefits of beef: zinc for a healthy immune system; protein for strong muscles; B vitamins for energy; phosphorous for building bones; and iron, which helps the body use oxygen. 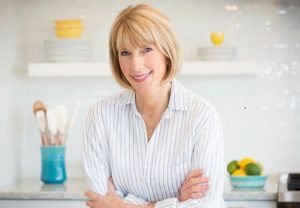 If you read this blog, you know by now that I’m totally obsessed with bowl meals, so that’s the other bonus of this recipe. 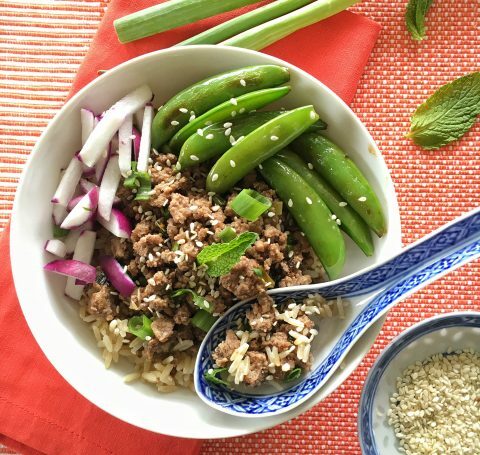 I build my bowls with a base of whole grain brown rice then top with sautéed beef, sliced radishes, and sautéed sugar snap peas. 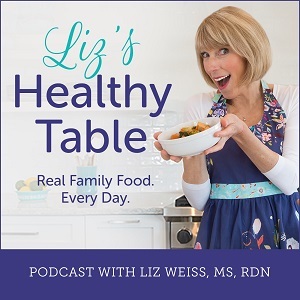 Up until now, you probably haven’t seen a lot of radish recipes on Liz’s Healthy Table. Last week, however, I featured a panzanella salad with watermelon, cucumber, and sliced radishes, and over the past few months, I’ve been eating radishes a lot. I’ve never liked them much, so I decided to get my taste buds used to their peppery, somewhat spicy flavor by adding them to salads, snacking on them, and even roasting them. The result: I’m now a huge fan. I like their flavor, their versatility, and the vitamin C, fiber and cancer-fighting antioxidants that they bring to the table. Anyway, that’s why I used them in this recipe. 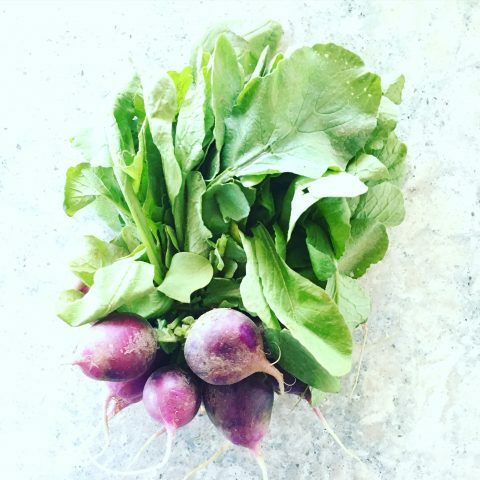 Plus, radishes were first grown in China, so their addition to this bowl dinner made sense! 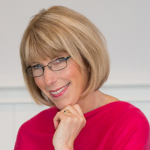 I'm all about easy, especially in the summer, and of course, I'm all about good nutrition. This recipe, in my humble opinion, has it all. And it fits right in with the 2015 Dietary Guidelines for Americans which recommend eating lots of fruits and vegetables, making half your grains whole grains, and choosing lean, high quality protein. The herbs add a fresh flavor to the beef mixture, so I encourage you to add the mint and cilantro. If you're not a cilantro lover, leave it out. Heat the olive oil in a large nonstick skillet over medium heat. Add the onions and garlic and cook, stirring frequently, until fragrant, about 2 minutes. Add the meat and cook, breaking up the large pieces, until no longer pink, about 5 minutes. Drain excess fat. Place the soy sauce, brown sugar, sesame oil, and ginger in a small bowl and stir together until well combined. Stir into the beef. Add a few tablespoons each of the chopped mint and cilantro, as desired. Taste as you go and feel free to add lots more. Place the rice evenly in 4 bowls. 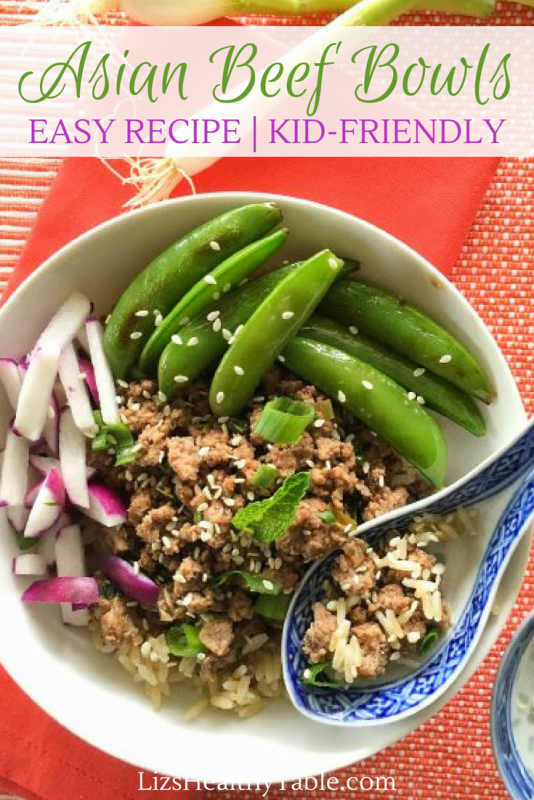 Top with the meat mixture (about ⅔ cup per bowl), sugar snap peas, and as many sliced radishes as you desire. Garnish with sesame seeds, and slice the remaining green onion tops and use as garnish as well. I used 8 ounces of sugar snap peas. To cook, I heated 1 teaspoon of toasted sesame oil in a large nonstick skillet over medium heat. I stirred frequently until the snap peas were crisp tender, about 5 minutes. 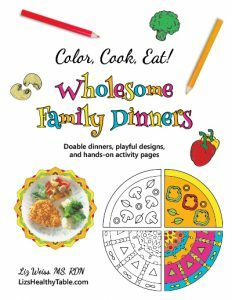 What are some of your favorite fast family dinners? Do your kids eat you out of house and home? I hope you do. It’s super yummy!! Saw you video on YouTube and wanted to get the recipe. This sounds fantastic! I am adding it to my meal plan for next week.